The chairman of United Democratic Party (UDP) has dismissed three executive members from the party with effect from 2nd April 2019. 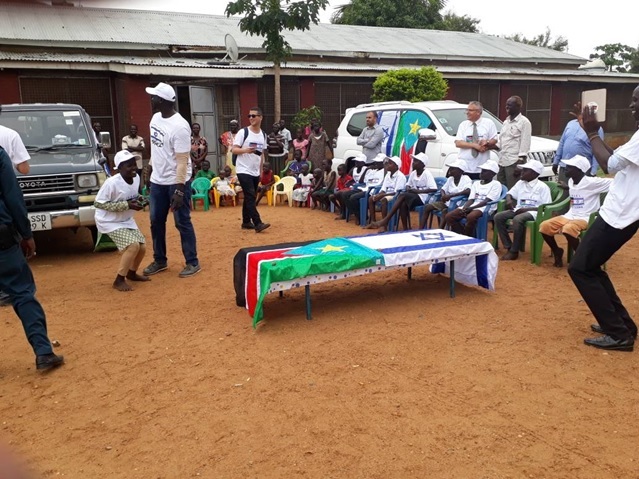 This came on Tuesday after Dr. Tong Lual Ayat, the chairman of United Democratic Party was reelected when the congress of the party convened in Juba. The congress met to elect a new leadership of the party for the next five years. “I have been re-elected again as a chairman of the party and other 22 National Executive Council and 11 deputies.Also congress discussed the issue of the three members from our political party who are claiming membership within the United Democratic Party,” Lual stated. He said after a serious deliberation among the congress and National Executive Council members, they have agreed to expel the three members immediately from UDP party for allegedly violating the party’s constitution. “We are declaring that from the date of 2nd of April 2019. Steward Soroba Budia, Martin Aligo Abe, and Alberto Faustino are dismissed from United Democratic Party. The general public, Government officials, IGAD, JMEC, Political party’s council and Diplomatic missions are informed officially,” he said. Lual said the three members were dismissed because of spreading hate speeches against other tribes, incitement of UDP members against each other and forging of the party’s constitution. He claimed that United Democratic Party is the most successful political party in South Sudan that can promote the notion of liberal democracy in order to ensure the principles of good governance. Lual has been the party’s chairman since 2009 where was elected through convention.